Application deadline: January 31st, 2019 This free one day event is the start up to Calgary's vibrant festival season, and encourages attendees to shake off the winter blues and reintroduce themselves to the thriving creative community in our city. 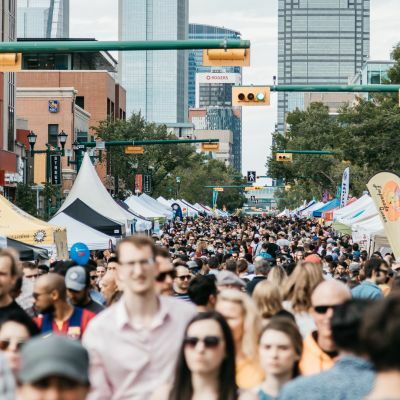 The festival is held on 4th Street SW between 13th Avenue and Elbow Drive, on the first Sunday in June from 10:00 am - 6:00 pm. The festival hosts over 40 musical acts on 5 live music stages and often sees attendance exceeding 100,000 throughout the day. Sunday June 2, 2019 will mark the festival's 30th Anniversary. The festival is a free outdoor event. Festival date is June 2nd, 2019. Application deadline for bands is February 8, 2019. Apply today!